NEW YORK (Jan. 17, 2019) — Foot Locker, Inc. (NYSE: FL) announced today that it has made a $2 million strategic investment in PENSOLE Inc., which operates the PENSOLE Footwear Design Academy (“PENSOLE”). PENSOLE was founded by former Jordan Design Director and inspirational educator D’Wayne Edwards. A celebrated member of the global sneaker community for three decades, Edwards’ mission at PENSOLE is to create a pipeline of new designers for the entire footwear industry. He does this by offering free tuition and a learn-by-doing curriculum that teaches students the entire footwear and apparel design process, from product inspiration and concept development, to manufacturing and branding. PENSOLE’s success speaks for itself, with 400 graduates currently working in the sneaker industry since its first class in 2010. This investment by Foot Locker, Inc. deepens Foot Locker’s longstanding partnership with PENSOLE and extends the companies’ relationship across all aspects of the design process. 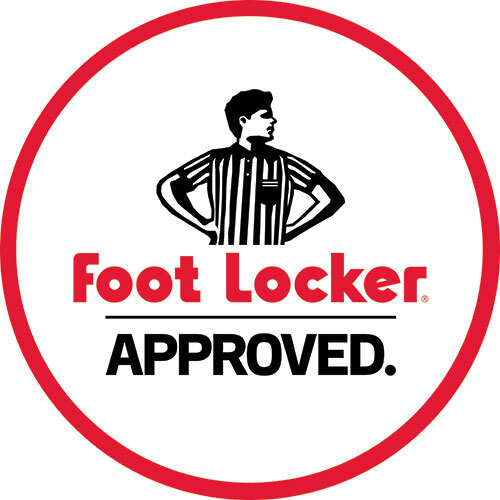 Together, Foot Locker, Inc., its vendor partners, and PENSOLE, will collaborate on new educational programs and the design and manufacturing of exclusive products for the Foot Locker, Inc. family of brands. Foot Locker first supported Edwards and his vision for PENSOLE in 2015 through an annual master class design competition, “Fueling the Future of Footwear.” Thirty students who have gone through the Foot Locker and PENSOLE Master classes are currently working in the industry. Foot Locker has also sold three styles created from the class globally, all of which have had successful sell-through. This strategic investment will not only further support Edwards and the PENSOLE mission, but also give Foot Locker, Inc. and its vendor partners new access to collaborative design and manufacturing talent. Foot Locker, Inc. is a specialty athletic retailer that operates approximately 3,270 stores in 27 countries in North America, Europe, Asia, Australia, and New Zealand. Through its Foot Locker, Kids Foot Locker, Lady Foot Locker, Champs Sports, Footaction, Runners Point, Sidestep, and SIX:02 retail stores, as well as its direct-to-customer channels, including Eastbay.com, the Company is a leading provider of athletic footwear and apparel. PENSOLE’s “learn by doing” curriculum teaches students the entire footwear design process: inspiration, concept-development, design process, problem solving, materials, business, networking, marketing, and branding. PENSOLE features the most sought after faculty in footwear, comprising both young professional designers and established footwear design leaders from the top footwear brands, with more than 100 years combined experience to help students with their professional development. Since the first PENSOLE class in 2010, more than 400 graduates have been placed with major footwear manufacturers worldwide. How Did You Hear About Pensole? Interested in registering for the Design Intensive? Send us your contact info below and we’ll keep you updated about the class.